A mere 10 years old, Watergate has steadfastly become one of the world’s most prominent electronic music institutions. This is due in no small part to its heady combination of picturesque location – its dancefloors face directly out onto the river Spree – a wall-to-wall LED light installation and its impeccable music policy, with the cream of the electronic crop passing through its doors every week. The mix CD series, now in its eleventh incarnation, is a further means for the club to stamp its seal onto the scene, with many of the club’s residents and regular talents having been invited to contribute. Previous artists have included the likes of Tiefschwarz, Ellen Allien, Sascha Funke and dOP, amongst others. For the latest edition, DIYNAMIC label boss and man of the moment Solomun takes up the mantle and demonstrates his own interpretation of club music. Within a short time the Croatian-born Mladen Solomun has already climbed to the pinnacle of the international house music scene, while simultaneously currently holding a position as one of the most sought after and in demand remixers. His remix for Noir & Haze has eclipsed the 2 million view mark on YouTube, whilst his first contribution to Watergate Records – a remix of Tiefschwarz’s Corporate Butcher – still resonates as a consensus crowd favorite. 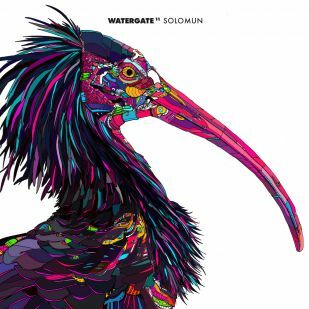 With Watergate 11, Solomun bestows his first mix CD upon the international market, stylistically splicing all the sounds one can expect to hear in his sets. With its many Influences from funk to hip- hop, house to techno and garnished with his own unique edits, this mix shows Solomun – the DJ – deftly balancing vibrance and consistence. This entry was posted on May 10, 2012 at 8:31 pm and is filed under News with tags Electro, Electronic, Funk, Hip Hop, House, Solomun, Tech House, Techno, Watergate 11. You can follow any responses to this entry through the RSS 2.0 feed. You can leave a response, or trackback from your own site.